Michael Chazan of Moda Piera invited us to chat about his work and his artistic journey. 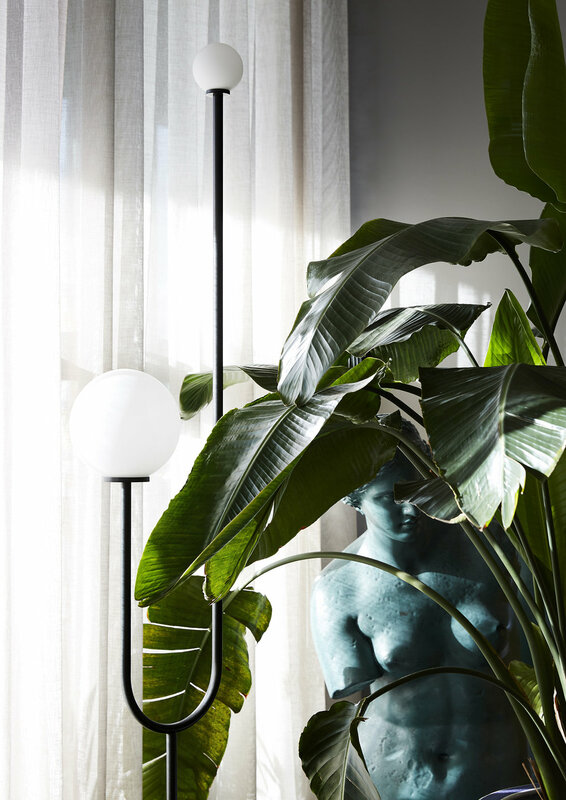 We met at his city apartment/studio, a beautiful space filled with his own creations and other iconic furniture pieces. We sat down over a coffee and got to know him and Moda Piera a little better. Despite being creative as a child Chazan did not take a direct route to his current work. He had successful career in finance and economics before taking a break to revaluate what he wanted to do and what was important to him. Utilising his drive and determination, and with a strong desire to achieve and maintain work/life balance, Michael forged a new career in design, with a stint at RMIT before founding Moda Piera in 2016. In 2015 one of my friends from the course and I got a little space together and pretty much fiddled around for a year, trying to hone our craft and doing a few small commissions – making tables for family and friends and a few clients. Michael Chazan is humble, patient and has a great eye for detail. These qualities shine through Moda Piera’s entire range. 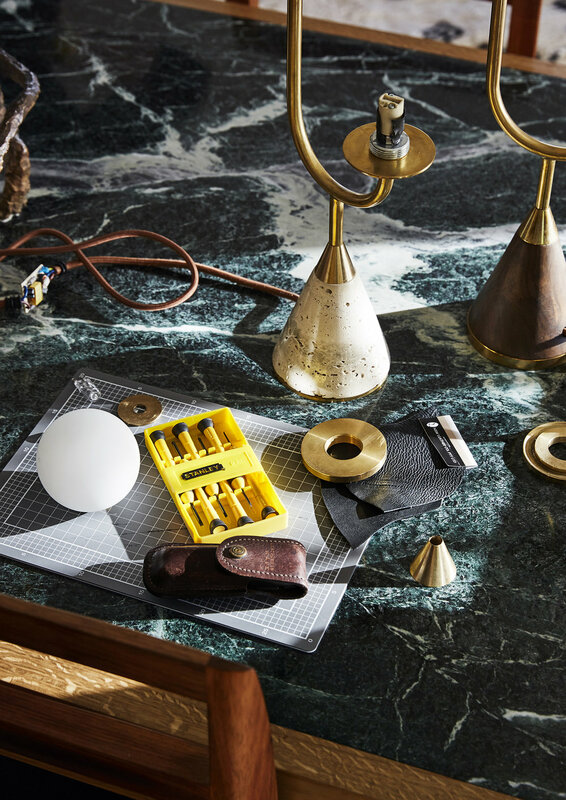 There is a focus on honest, elegant design which allows the materials to be the hero. Michael also puts the effort into making sure every detail works and is resolved to its final potential. 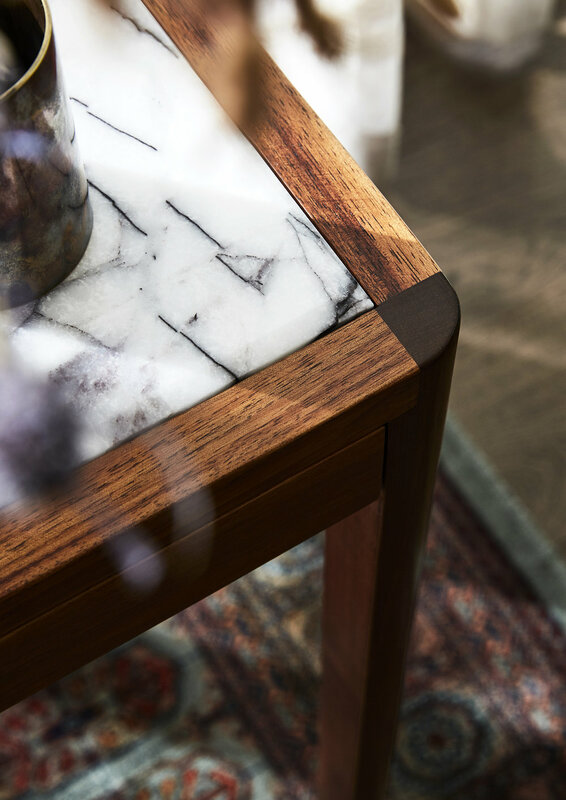 One example of this can be seen in the leather-lined drawers of the Quattra Marble Desk, a detail which you don’t see until you get up and close with the physical piece. It’s this attention to detail and thoughtful pursuit of quality which drew us to Moda Piera in the first place. Throughout Moda Piera’s product range there is a consistent understated but highly refined quality, to which photos alone cannot do justice. It’s furniture and lighting that you really have to experience in person to fully appreciate. I enjoy just making the small beautiful pieces like the leather desks and things like that. I enjoy the cathartic process of starting with a piece of timber and ending up with something that is real and useable and that you can have in your house and love. Things that you can build a home around. His starting point with any new piece is materiality, not over-working the materials but letting them tell their own story. He gravitates towards timber in most of his range, while also working extensively with brass, marble and other materials. A good place to start is always having really good materials and doing as little to them as possible, to make them harmonise and all work together. I think you can’t go too far wrong if you do that. What I enjoy most is getting my hands dirty and working with timber. My favourite thing is how materials work and play off each other. Michael’s creative process is a mix of old and new school techniques. 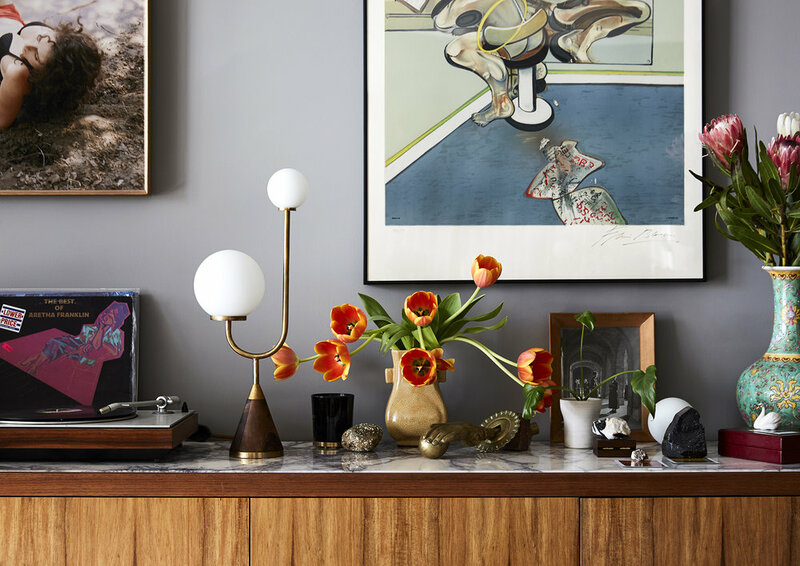 Most mornings he can be found at his home studio where, after waking up with his wife (the super talented photographer Ying Ang) and adorable newborn son, he spends time drawing and sketching before heading out to his Brunswick workshop. Michael draws inspiration from a diverse variety of sources, but most of all just from the beauty in the world around him. I enjoy looking at architecture, going to galleries, traveling and just soaking up inspiration from all the beautiful things that in some way or another influence you. Everything ends up influencing you in some way, regardless of what it is. 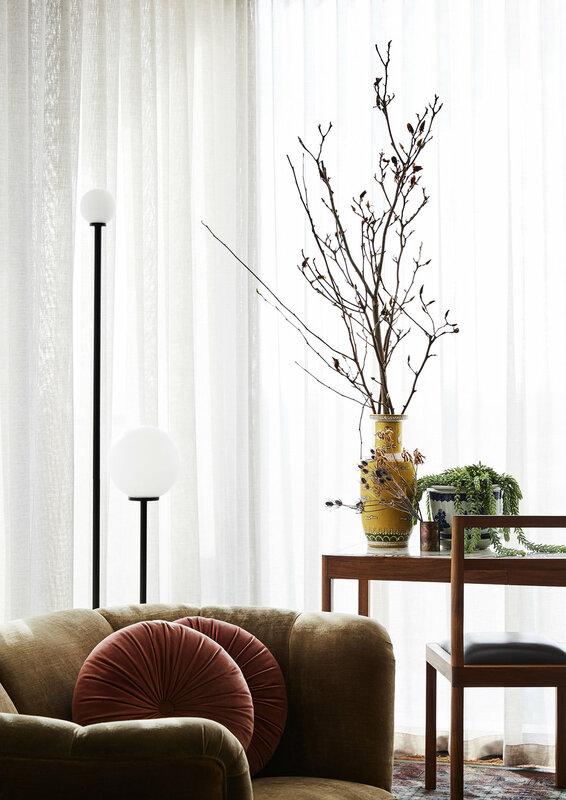 Our personal favourite item in the Moda Piera range is the ever popular handcrafted Arancini Lamp, most often seen with a beautiful pairing of brass and marble but available in a range of materials. We’re excited to see the amazing growth over the last two years, and we can’t wait to see what Moda Piera creates next. MM:What does Piera in Moda Piera mean? MC:It’s from Piera Street in East Brunswick, where we had our first workshop. MC:Definitely a chair. I think a chair is the most inherently interesting thing to design. I would have scribbled down literally thousands of chair designs in my time and my life is just going to be about trying to get the time to go through and make them all. Chairs are always a great challenge and the unfortunate thing is that it probably takes me almost as long to make a single chair as it would to make a dining table. If I had my way I would probably spend all of my days making chairs. It’s a fun thing to do, I really like it. MM:What can’t you live without? MC: I can’t live without a good work/life balance. I really enjoy working, particularly now that I’m doing something that I love, but I’m really conscious that the most important thing is spending time with your family and doing that. So hence the reason why my wife (who’s just working through the door) and I are looking for a factory or a studio so that we can do our work together. MM: What’s your favourite holiday destination? MC: There’s so many. I love going down to the beach, any beach and just relaxing. That’s always my number one to do, but I also love going to big cities. I love going to New York and soaking in the atmosphere and walking the streets, but you can’t beat lying on a beach and getting a good tan. MM: Where do you get your coffee from? MC: I have a lot of different ones that I go to, but here in the city I go to Self Preservation and we spend a lot of time sitting down there. In Brunswick I’ve been going to the same café every single day for like 3 years, A Minor Place – I probably go there twice a day.